AEPA | Teyori Itilizasyon Pwogresis an Aksyon! You are currently browsing the tag archive for the ‘AEPA’ tag. There are various social projects in Haiti which reflect the principles and concepts of the paradigm-shifting PROUT socio-economic system. It is rare to find however initiatives which directly address the root causes of the main social problems in the country and of humanity as a whole. Empowering local women which were oppressed or neglected for generations is certainly one of the strongest forces today to promote a positive and holistic social change. 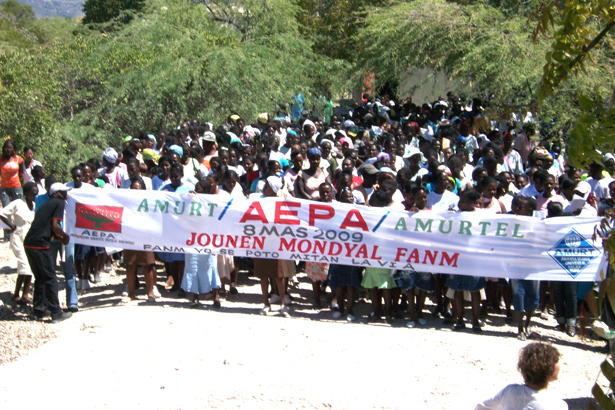 The practical work of the NGOs AMURTEL and AEPA mobilizes the core issues sustaining or aggravating the current Haitian situation. 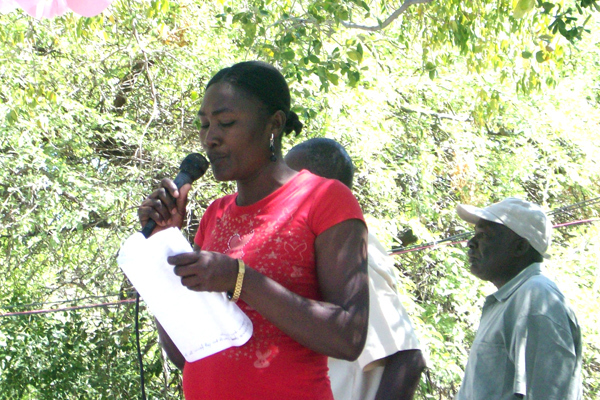 Together they started a continuous leadership and community training program at perhaps the hardest of the environments in Haiti, the semi-desert area of the Anse Rouge Commune, at the Northwest of the Artibonite Department. This region, once a tourist paradise with natural hot water spa treatment and luxurious accommodations during colonial times, has reached extreme levels of degradation in various spheres: rampant environmental devastation and desertification, increasing regional emigration, lack or complete absence of minimum living necessities to the population, reaching the lowest levels further below the national average, not to mention the dire consequences of this long-term imbalance and derangement such as the natural disasters, erosion, floods, drought and collapse of social structures. Determined to tackle these conditions even though governmental and non-governmental agencies have abandoned the zone, Proutists from Haiti and abroad have systematically worked within the community to awaken and support their own local potentialities. 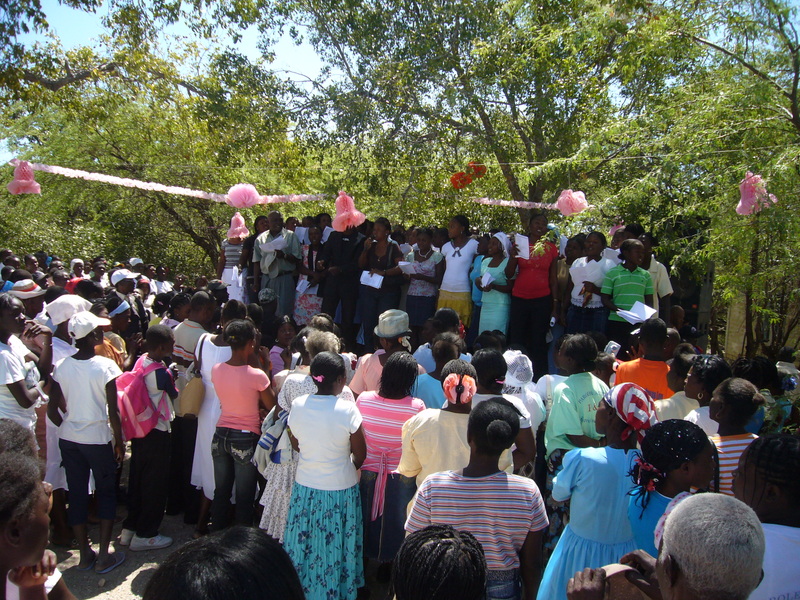 “34 AEPA women’s groups attended a weekend training and the parade in Ti Plas and Source Chaudes villages. 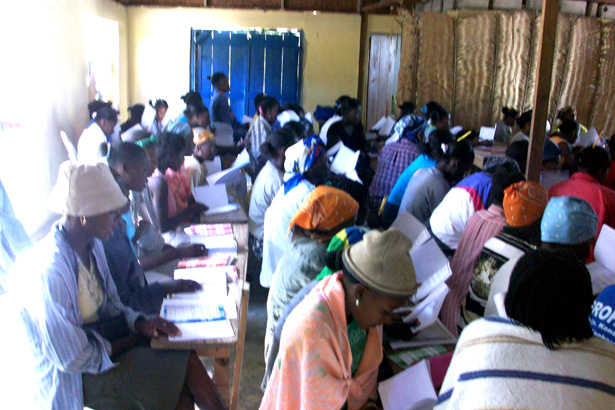 All members of these 34 women’s groups (a minimum of 500 people) have been undergoing intensive AEPA training and monitoring weekly community meetings since June of 2008. These women’s groups decided they wanted to create small businesses based on their interests and community needs, and collectively invested their resources to make this happen. All of their businesses have already started, many of which are in their start-up phases.